The multi-faceted Farhan Akhtar now has the ultimate ace up his sleeve: A film with Amitabh Bachchan! After an impressive extended cameo in Dil Dhadakne Do, Farhan is now gearing up for the release of Wazir, the first major release of 2016, where he shares screen space with Big B. "Initially when I was told that Amitabh Bachchan has agreed to do the film, there was a serious amount of excitement that I would get to share screen space with him. We spent a lot of time at his place during the reading sessions, due to which there was a considerable amount of comfort while shooting. The first day on the set was a surreal experience for first 15 minutes, but later, things came back to normal." "I am working constantly with directors in developing their scripts, getting the right cast and even in the music department. My contemporaries have only one thing to do i.e. acting. So this is why I just do two to three films a year. I don't want to say yes to a film unless my heart is 100 percent in it. I want to do films which inspire." "There is a lot of action in Wazir. 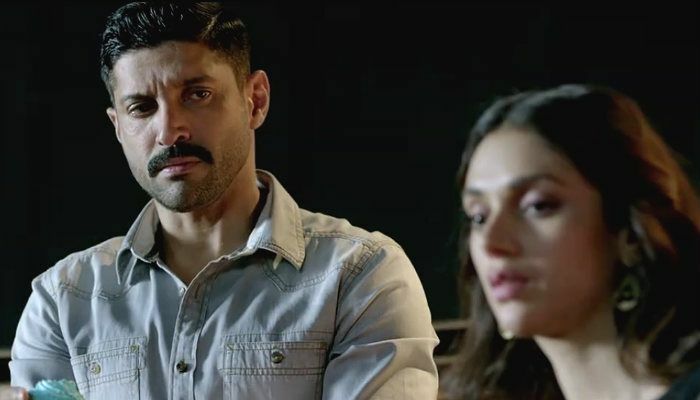 Like most commercial action films, even Wazir has romance, drama, action. It is as mainstream as it gets. It is a very universal story-line with great music." Farhan debuted as a director in Bollywood with Aamir Khan's Dil Chahta Hai. The director-turned-actor finds it funny that people label Dil Chahta Hai as a multiplex film despite the fact that it released only at Single Screens! "It is funny how Dil Chahta Hai was called one of the first multiplex films of its time as there were no multiplexes when the film released. We had only single screens when it released, but people refer to it as a multiplex film," he quips. Wazir releases on 7 January 2016.